The Ruth D. Gates Digital Scrapbook | Clipping, "Brilliant Fall Wedding in Calais"
Clipping, "Brilliant Fall Wedding in Calais"
A newspaper clipping describing the wedding ceremony and reception of Mary Clarke and Lysander Richmond, which took place in Calais, ME. Unfolded extent: 50 by 7 cm. 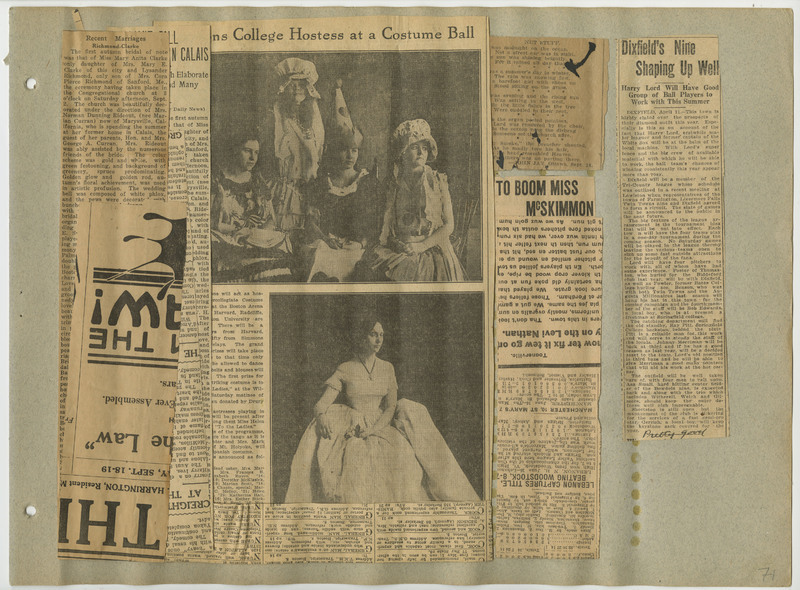 unknown, “Clipping, "Brilliant Fall Wedding in Calais",” The Ruth D. Gates Digital Scrapbook, accessed April 19, 2019, https://slis.simmons.edu/ruthgates/items/show/416.